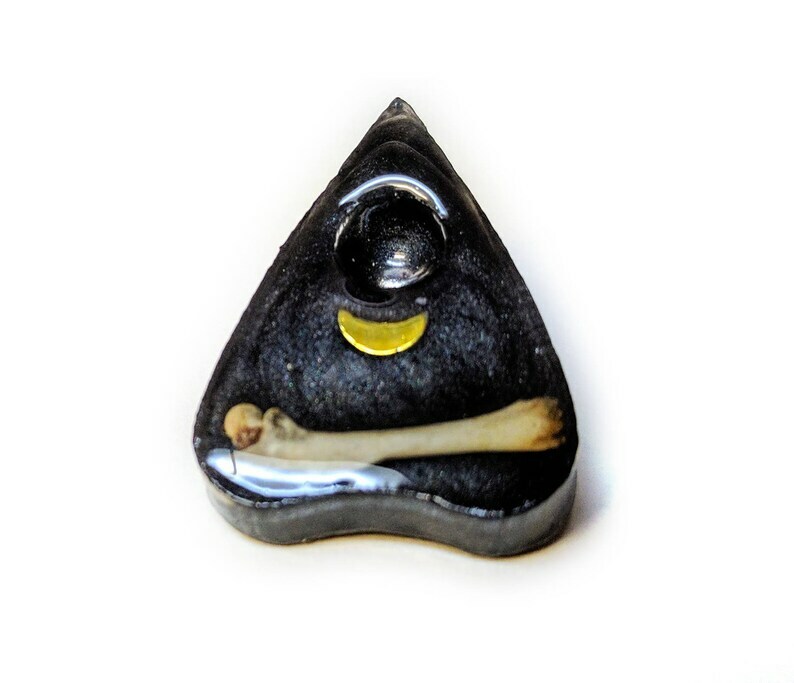 A resin pin in the shape of a planchette. Encased in the resin are a metallic moon, and a small mouse bone. This is a real mouse leg bone. Pin is an inch tall and 3/4 an inch wide. 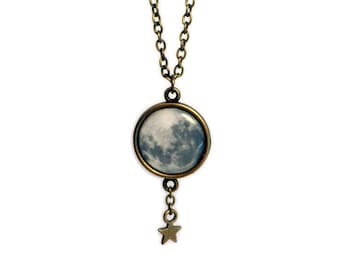 Choose from a gold or silver moon. Glued to a lapel pin, ready to wear. Perfect and just as shown online--thank you for creating such a unique item!! Great product, feel like a member.